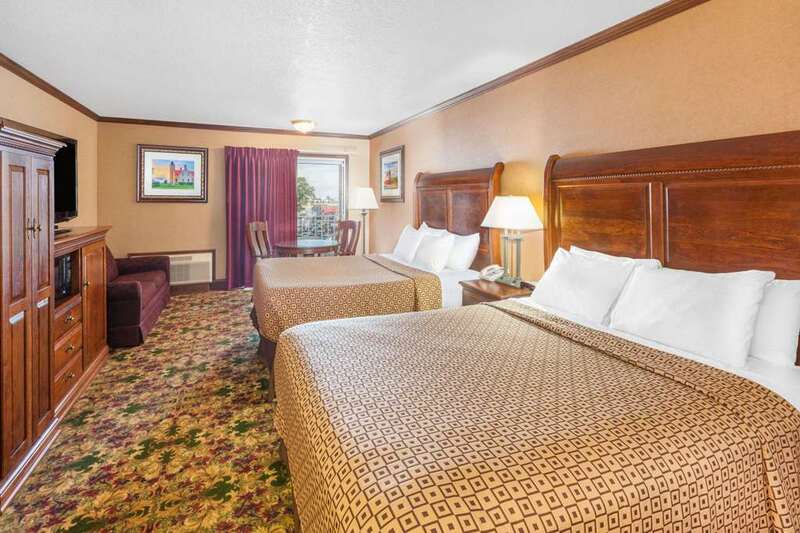 Ramada Mackinaw City Waterfront is located just a half mile off Interstate 75, directly on the beaches of beautiful Lake Huron. In addition to the private beach there is a heated indoor pool, 2 whirlpools and a large sun deck. The Ramada Mackinaw City Waterfront offers all the latest in hotel amenities: Free Continental Breakfast featuring Scrambled Eggs and Cook to Order Waffles, microwave and refrigerator, 33 inch color cable TV w/HBO, hair dryer, iron and ironing board, coffee makers - see amenities list for full listing. Walk to all the area has to offer; ferries to Mackinaw Island, restaurants, shopping, live theater, entertainment, etc. So whether visiting the Northern Michigan area on business or pleasure, with a group or tour, make the Ramada Mackinaw City Waterfront your hotel of choice for true hospitality and BEST RATE........GUARANTEED!